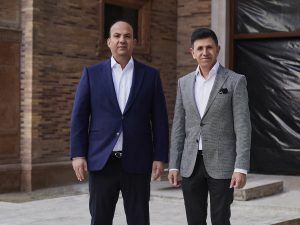 Owners and CEOs of Mellow Mood Hotels, Mr. Sameer Hamdan and Mr. Zuhair Awad were selected again among the 50 most influential persons in the Hungarian tourism industry, for the sixth year in a row. Due to their commitment and involvement in the hospitality industry in various ways, the founders of Mellow Mood Hotels truly deserve their position in the elite of tourism. The Mellow Mood Hotels Team proudly express its congratulation!